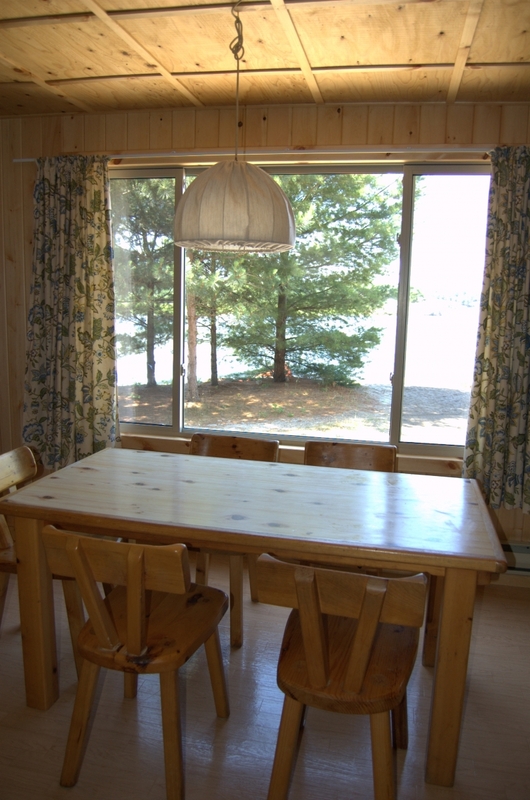 Located right next to the beach the Osprey Cottage offers incredible views and perfect vacation for a family of four. 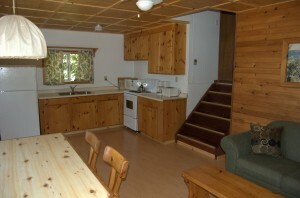 Renovated in 2011, this two bedroom cottage is bright with plenty of space for up to four. 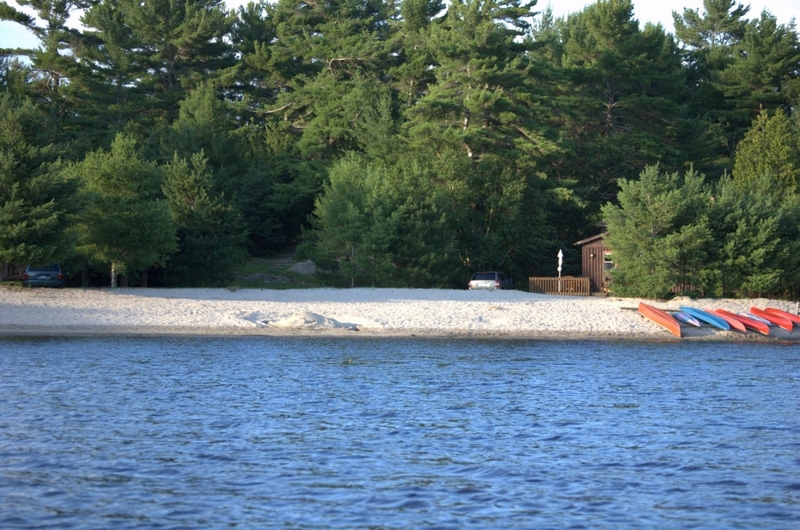 The beach is right at your doorstep with a direct view of the inlet. 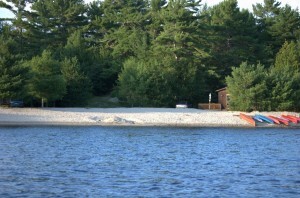 Enjoy close and easy access to the docks and your boat. 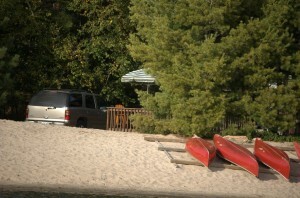 This sundeck is in full sunlight, Adirondack chairs, picnic table with benches and an umbrella. 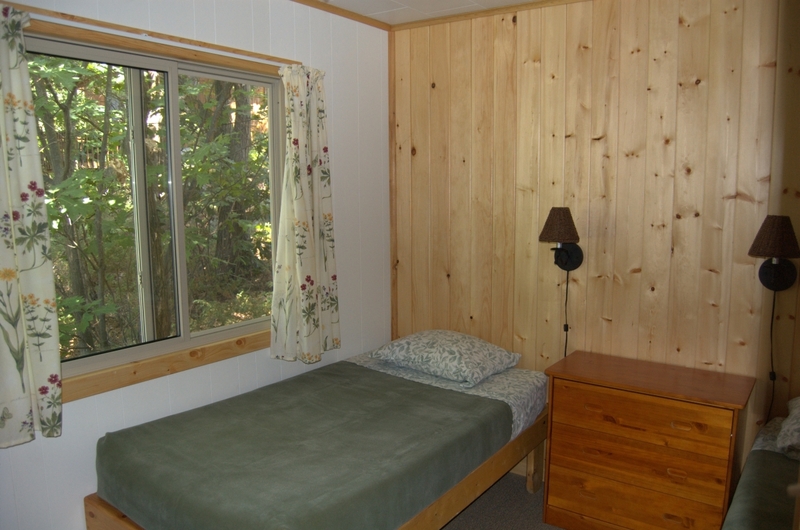 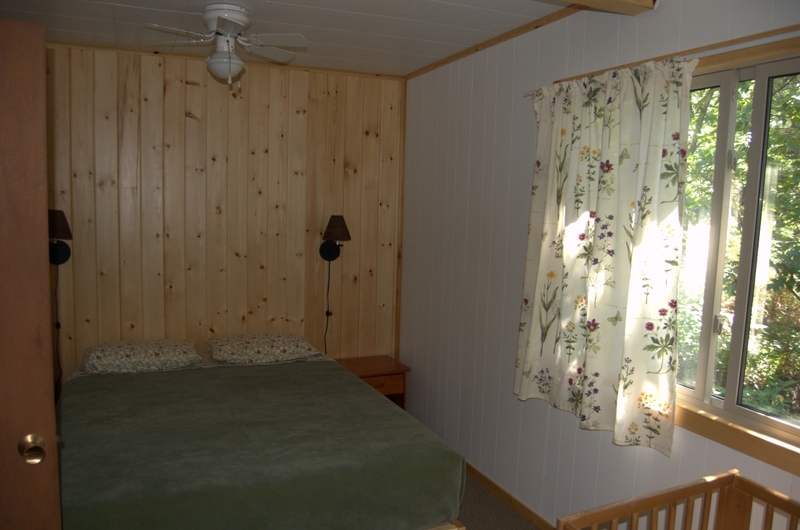 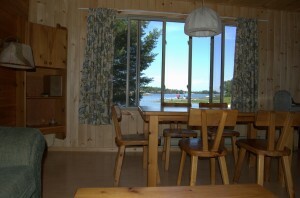 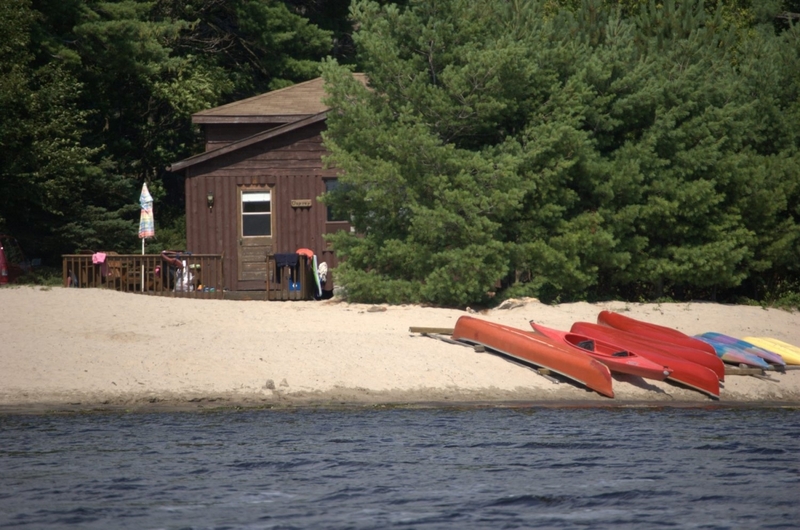 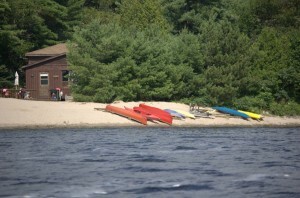 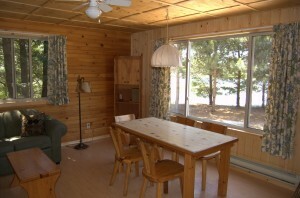 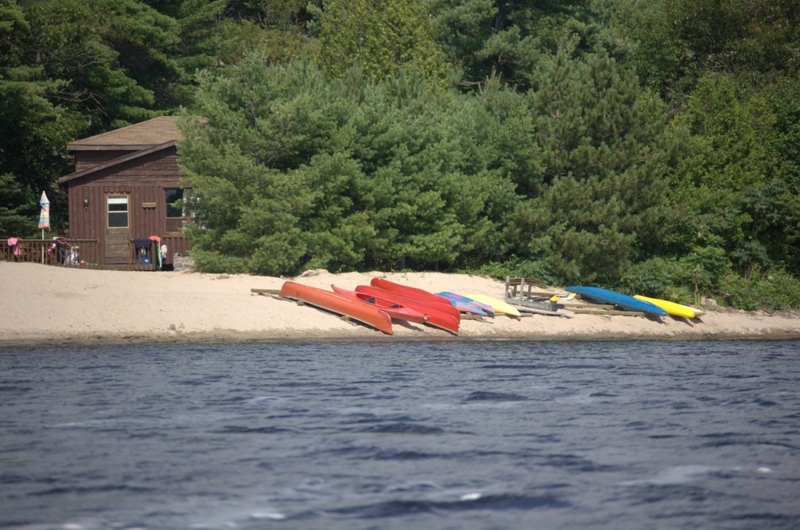 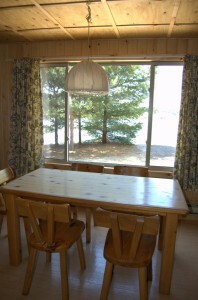 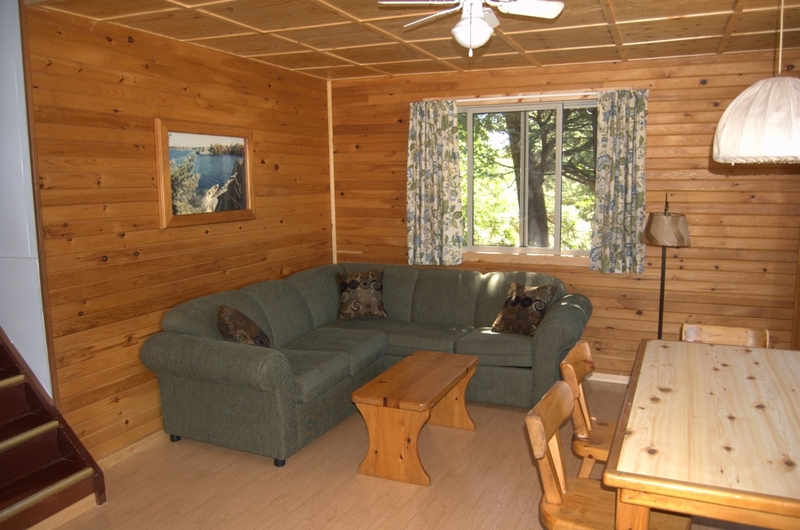 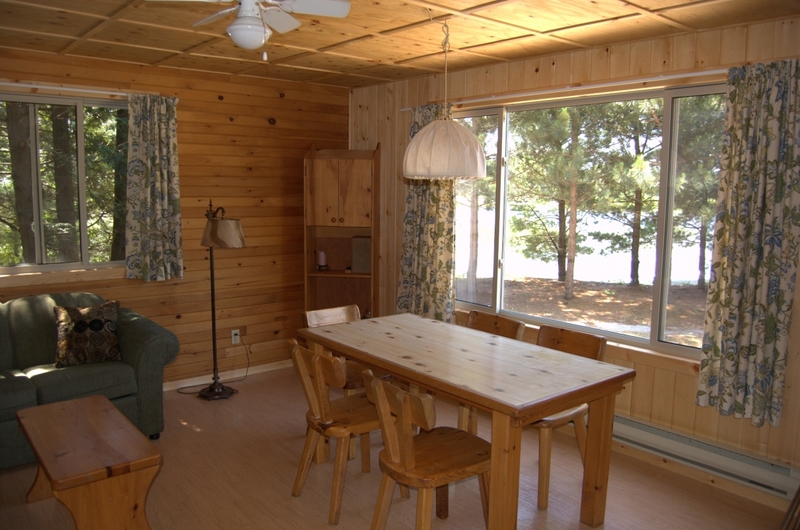 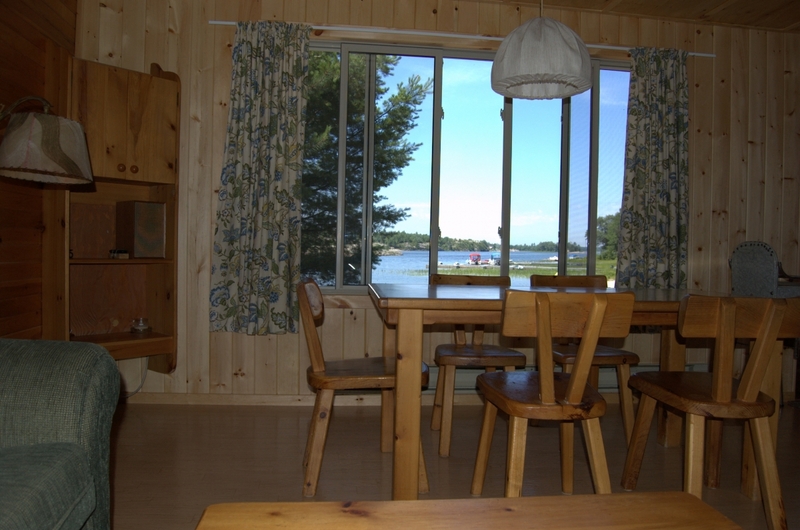 The cottage features a fully equipped pine kitchen, table and chairs and a television. The two bedrooms, located on the upper part of the split level building, have one Queen sized bed and 2 twin beds. 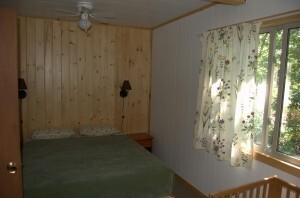 Ceiling fans are in both bedrooms and living room keep it cool and fresh.